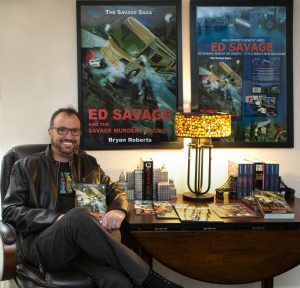 Ed Savage and the Savage Murders Trilogy is exactly what a thriller should be – suspenseful, packed with surprises and totally implausible. Here Bryan Roberts serves up a murder mystery that’s difficult to put down. A complex story of sketchy pasts and vengeance, it provides pulpy fun in abundance. Mindless entertainment doesn’t come better than this, though to accomplish it with this much flare and the ability to keep throwing curveballs takes some almighty imagination and gusto. The story follows actor Ed Savage and his family as their planned vacation to a mountain retreat turns out to be anything but relaxing. Upon arrival, they’re met by some folks you wouldn’t exactly call friendly – nor are they welcoming. But these aren’t your ordinary mountain psychopaths who like to murder city slickers just because they can – it turns out Ed has a history and people want him to pay for what he’s done in the past. What ensues is a story with more twists and turns than your average 1950’s dance craze. There are also elements of the disaster and family vacation stories in addition to thriller, horror and mystery. It’s a unique palette of influences, but it works. The Savage Trilogy is a genre mashing treat that provides plenty of excitement throughout. The story is fast-paced and constantly unpredictable, made all the better with its satirical elements pertaining to scandalous celebrities. Someone needs to adapt this on into a TV show in the near future. 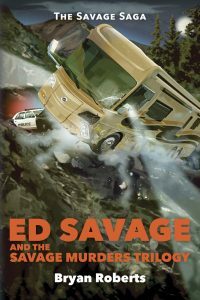 So, if you’re looking for a mystery you can get lost in, pick up Ed Savage and the Savage Murders Trilogy.